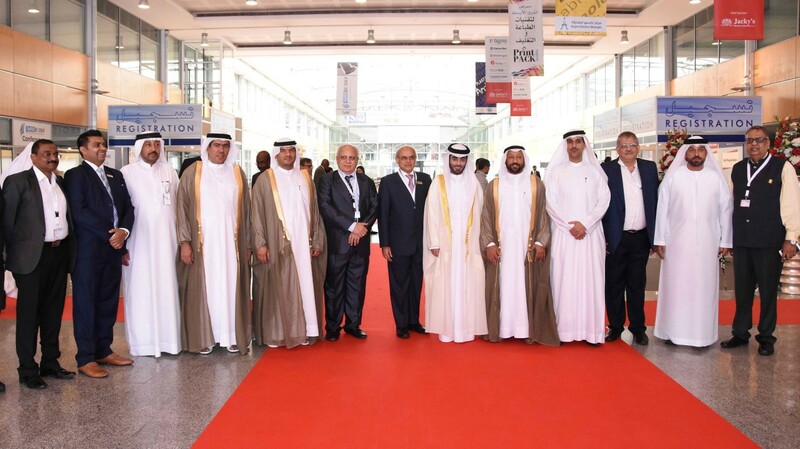 SHARJAH, 11th December, 2017 (WAM) -- Sheikh Khalid bin Abdullah Bin Sultan Al Qasimi, Chairman of Sharjah Sea Ports and Customs, Monday inaugurated three specialised exhibitions at Expo Centre Sharjah (ECS). The three exhibitions are 'Plastivision Arabia'; 'Arabiamold'; and 'Print Pack Arabia'. Sheikh Khalid toured the three venues which succeeded in attracting more than 120 companies, factories and trademarks from 11 countries. The exhibitions will be held until the 14th of December with the support of Sharjah Chamber of Commerce and Industry (SCCI). 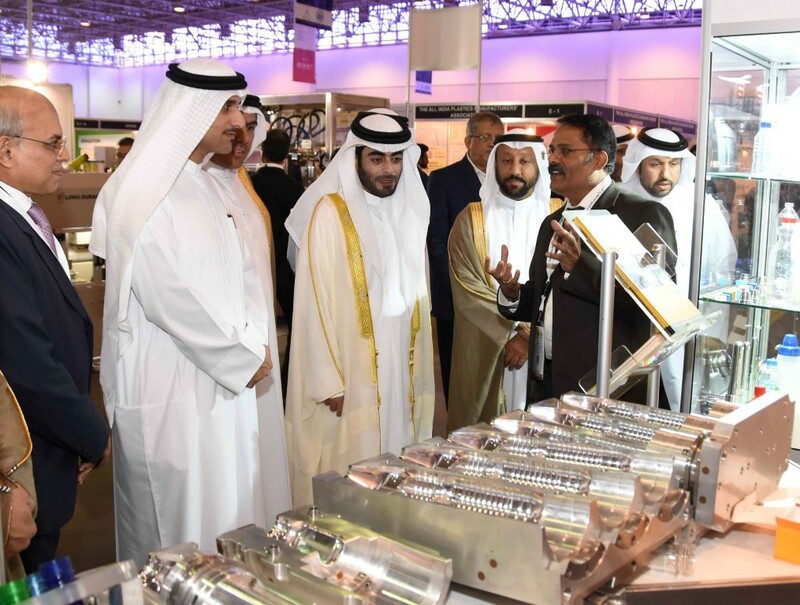 During his tour, Sheikh Khalid met with a number of exhibitors, who briefed him on the latest products, machines, programs, technological innovations and raw materials used in various fields related to the manufacturing of molds, plastics, printing, packaging and paper. 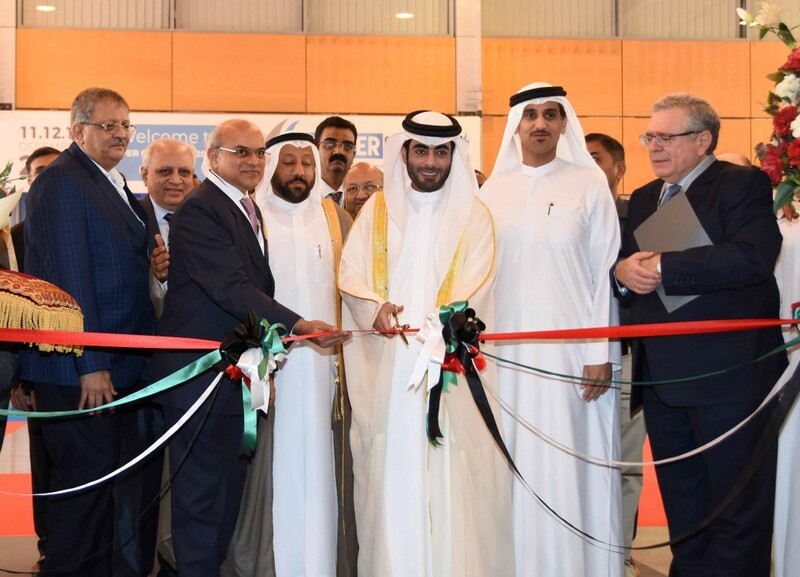 Sheikh Khalid highlighted the success of the three events in attracting some of the leading international companies in the manufacturing of molds, plastics, printing, packaging and paper worldwide. He added that the high level of participation in these events highlights Sharjah's growing importance to international companies, brands and trademarks in these industries. They wish to develop their businesses and activities and enhance their presence in the UAE and other various markets in the region, he affirmed.